Mash 1 ripe avocado and mix with 4 sliced spring onions, 6 quartered cherry tomatoes and 1 tbsp mayonnaise, season. Brush 4 slices Irish brown soda bread with oil and griddle for 1-2 minutes each side until golden. 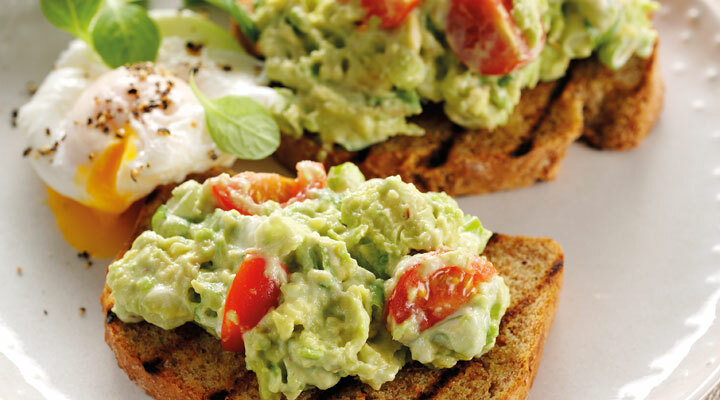 Spread with the avocado mix and divide between 2 plates, top each with a poached egg.